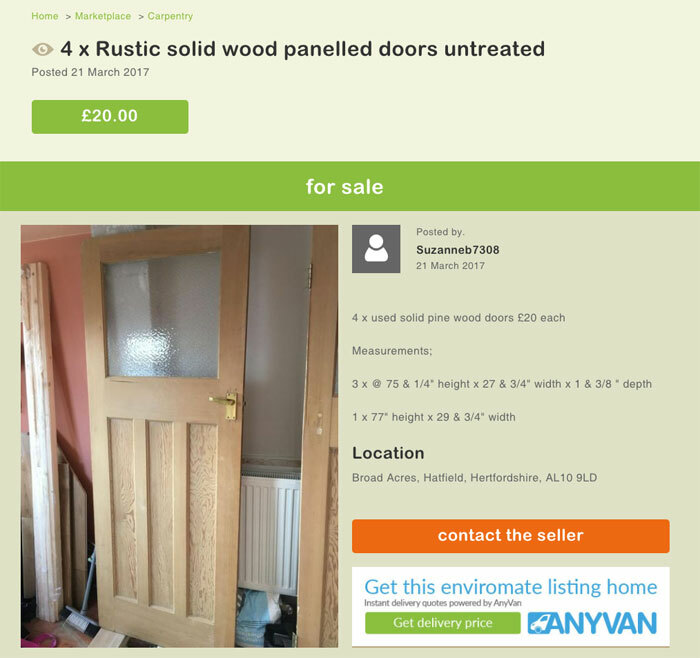 Enviromate is the multi award winning, closed loop marketplace where people connect to buy, sell or donate leftover building materials, helping build a future where we share, upcycle and reuse surplus. Reducing the impact the industry has on our environment and building toward a more resourceful, circular economy. With over 10,000 members and growing with materials ranging from tins of paint to full pallets of bricks, it has been important for enviromate to provide our members, both buyers and sellers with the best online trading experience possible whilst also reducing the chance of reusable materials ending up within the waste stream due to logistical issues. 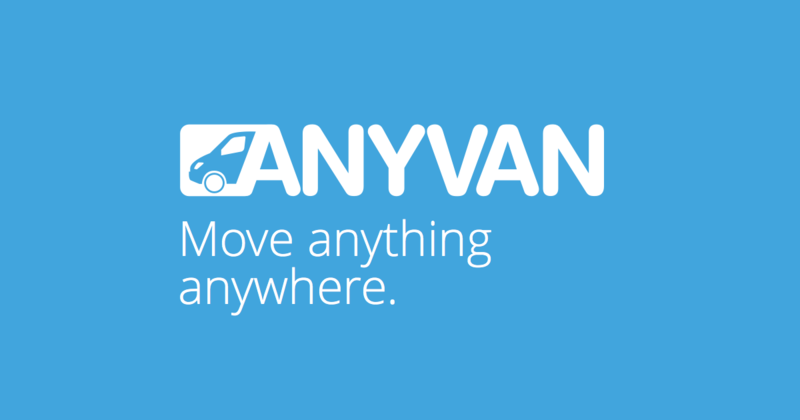 The UK's fastest growing marketplace is pleased to announce its partnership and ongoing collaboration with leading delivery, transport and removals provider AnyVan.com. Used and loved by over 2.9 million people AnyVan has spent over 8 years building a community of over 65,000 trusted transport providers and growing our team of Customer Service Heroes, so we can get you the cheapest delivery and collection quotes with minimum hassle. Using AnyVan buyers will also be presented with the best price available, saving up to 75% in delivery costs. With this additional delivery cost saving for the buyer, sellers will receive more interest in their goods as a result. Along with creating a more refined user experience our collaboration importantly aligns and enhances both ventures sustainability ambitions with enviromate aiming to increase the product lifecycle by keeping material out of the waste stream along with AnyVan's drive to lower the worlds energy consumption and are currently actively reducing Co2 emissions by filling unused space in vans and lorries. Driving and building toward a more resourceful and circular economy. "We partner with innovative, disruptive organisations that share our mission of business as a force of good. We don't believe in conventional. We believe in changing the face of business through open collaboration. Collectively protecting our planet by shaping our ecological impact through building businesses that work and collaborate for the good of humanity and nature. This singlehandedly will change the world faster than any legislation can." To find out more about AnyVan click here. To grab yourself a bargain or to sell your unwanted materials head over to the marketplace.